Emmaus Church Centre is a modern, purpose built building set in lovely grounds with its own car park. It was opened in 1993 but the history of the church goes back to the 1930's. In the 1930's, 40's and 50's, some Christians in Severn Beach met for worship and prayer in Nissen huts in Shaft Road. Christian missions were held in marquees for the people from Bristol who came to camp at Salthouse Farm. An organ would be taken on to the riverbank and hymns sung in the open air. Children's activities were organised in a cottage at Salthouse Farm with magic lantern slide shows and the children were collected in an old van. This grew into an afternoon Sunday School. A 'breaking of bread' service and an evening outreach were added and so began a church with support from friends living in the surrounding villages. In the 1950's and 60's more houses were built and Severn Beach became a thriving country village. A Chapel called Emmaus was built in Green Lane. 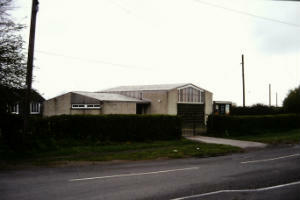 As numbers and activities grew, a second hand wooden mission hall building from Oldown was added for the Youth and Children's work. In the late 1980's, the Government decided to build the Second Severn Crossing and Emmaus Chapel was in the way of the new road layout. 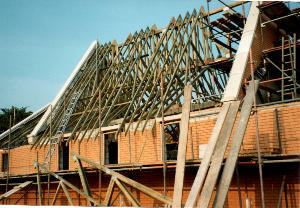 The Government paid for the reinstatement of a church building on a new plot of land in Gorsecover Road. This is Emmaus Church Centre today. Locally, reactions to the new bridge for the M4 are mixed but we give thanks to God for the provisions of the generations that have gone before us and nowadays for the wonderful people that meet in the building every week.